Is yoga for me? How do I start? Curious? Nervous? Wondering if it’s really for you? 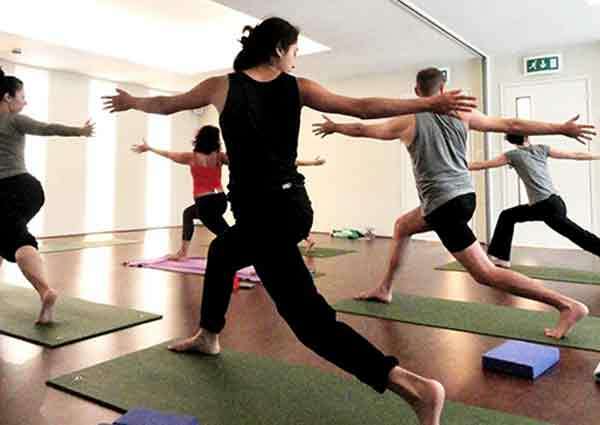 We look at some myths around yoga, and at what you can expect when you start doing yoga classes or a beginners course at Embody. No matter how you start your yoga journey, our caring and expert team will quickly make you feel at ease. Above all else, yoga is compassionate, fun and oh-so-good for you, and we look forward to seeing you on the mat soon! Embody’s yoga beginners courses are an excellent way to learn and develop the basic principles of yoga and gain an appreciation of its many benefits. Our friendly and knowledgeable teacher will guide you through the fundamental yoga postures with an emphasis on correct alignment and proper breathing techniques. Once you’ve mastered the basics you’ll be ready to attend any of our open level classes scheduled throughout the week, giving you a chance to explore a variety of yoga styles at your own pace.